I was so excited to see my former High School Principal, George Kirtley, as one of the inductees for the T.I.S.D. Hall of Fame for 2017 along with Rick Sandlin, who I had as a Teacher in Elementary School. The induction ceremony will take place on Tuesday, March 7. 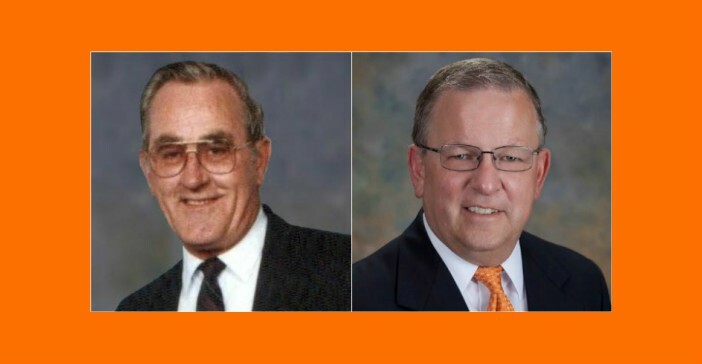 Texarkana Independent School District (TISD) will honor Rick Sandlin and George Kirtley as their 2017 inductees to the TISD Hall of Fame during its annual Texas Public Schools Week Community Breakfast. The event will be held on Tuesday, March 7 at 7:00 a.m. in the Dan Haskins Student Center at Texas High School, 2112 Kennedy Lane. The public is welcome to attend. Rick Sandlin, a 1969 graduate of Texas High School, knew that he wanted to go into education because of the teachers and coaches he had during his school years. 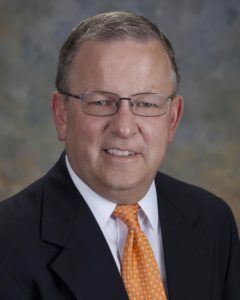 With a Bachelor of Science in Elementary Education from East Texas State University – Texarkana (now Texas A&M University – Texarkana), Sandlin began his career in education with TISD in 1974 as a Teacher at Highland Park Elementary School. He later completed his Master of Business Administration to help further his career in education. Leaving his teaching position at Highland Park Elementary in 1977, Sandlin went into the insurance business. However, he returned to his passion in 1983 as a Sixth Grade Teacher for Liberty Eylau ISD and then as a Fourth Grade Teacher for Pleasant Grove ISD. He found his way back to the Tiger Family in 1990 and remained there until his retirement in 2014. While with TISD, Sandlin served as a Teacher for Highland Park Elementary and Kennedy Elementary School. He also served as Assistant Principal at Wake Village Elementary and Principal for Highland Park Elementary, Nash Elementary, Wake Village Elementary and Morriss Elementary. Sandlin was instrumental in the facility and curriculum development of STEM education at the Martha and Josh Morriss Mathematics & Engineering Elementary School. Because of his efforts, he was asked to present before the National Academy of Engineering and the National Research Council as part of the iSTEM Education Study, was key to the hosting of a Field Hearing at the Morriss Elementary campus for the United States House of Representatives Committee on Science and Technology and was asked to become a member of the National Academy Committee of Engineering Guiding Implementation of Pre-K Engineering Education in the United States. In his final year at TISD, Sandlin became the Director of Elementary Campus Operations. Today, in his retirement, he still plays a key role with TISD as the Director of Employee Development leading the charge for the TISD Leadership Academy which focuses on preparing TISD staff for future leadership positions. Sandlin has been married to Kay Taylor Sandlin for 41 years. They have two sons – Taylor Sandlin, who is married to Alyson, and serves as a Pastor in San Angelo, TX and Erick Sandlin who is an attorney in Houston, TX. Their world is brighter because of two wonderful grandchildren – Sophie (12) and John Curtis (10). Also during the event, George Kirtley will be posthumously honored and inducted into the TISD Hall of Fame. 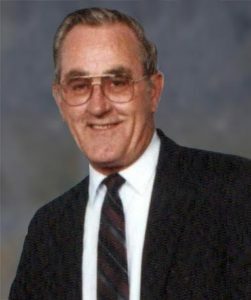 Kirtley, a native of Dumas, AR, began his career in education in 1960 as a History Teacher and Assistant Football Coach at Texas High School under Watty Myers. During the next nine years, he also coached Basketball, Baseball, Tennis and Golf. 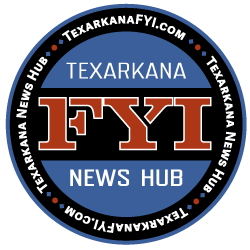 Kirtley was named Ark-La-Tex Basketball Coach of the Year, District 13 Coach of the Year and Educator of the Year by the Texarkana Chamber of Commerce. He earned a Bachelor of Science in Physical Education from Southern Arkansas University, a Master in Education from Henderson State University and his Guidance/Counseling Certification from East Texas State University – Commerce (now Texas A&M University – Commerce). From 1969 – 1972, Kirtley served as a Counselor at Pine Street Junior High and then as Assistant Principal for the campus. He became Assistant Principal for Texas High in 1984 and remained in that position until 1997. Kirtley briefly served as Principal for Highland Park Elementary and Westlawn Intermediate School from 1997-1998 and then served in another dual role as Assistant Principal for Student Services at Texas Middle School and Texas High School. In 2000, he slowed it down a bit serving as Assistant Principal for Texas High School until his retirement in 2005. Not ready to completely give up the opportunity to educate students, Kirtley became a Substitute Teacher for TISD from 2007 until 2015. He went on to a higher educational assignment upon his death in June 2016. Kirtley felt that people were the greatest part of his job. He liked the association with the students and being able to guide them in the right direction. Kirtley’s family includes: daughters Kim Kirtley and Andrea Heflin; step-daughter, Jana Kemp; step-son and daughter-in-law, Greg and Shari Kemp; brother and sister-in-law, Bobby Kirtley and Susan; six grandchildren – Slade Phillips, Zack Phillips, Seth Phillips, Holland Kemp, Addison Kemp and Kendyl Bowers and her husband Justin; one great grandchild – Jarrytt Bowers.